Strategy dictates effective tactics and the creative is more important than the budget. Wanted is not a full agency, but this resource can outperform one for efficiency, cost effectiveness and results. Kate has created and produced content for every form of marketing and advertising communication. From digital, print, radio and television, to events, custom publications, promotions, merchandising, sponsorship sales, and education. Project: Hyundai Todai, the 40-page full-colour quarterly custom publication produced by Wanted for over 12 years. Each issue 40,000 copies were printed and distributed nationally through dealerships and direct mail to the customer database. Kate was responsible for the strategic design of contents, art direction, project and production management, source sponsorship and promotion opportunities, implement research projects and customer liaison. 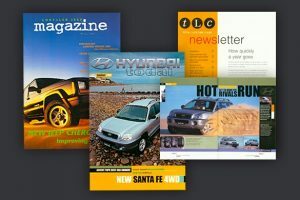 The magazine gave customers a tangible association to the brand and gave Hyundai total control over their strategic brand management and reaching multiple communications objectives. Read more here. Project: ASX IPO and Launch of SaaS online trading software. 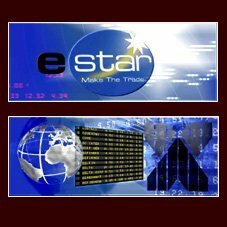 eStar Online Trading launched with an ASX IPO with the pre-listing marketing contributing to the offer closing over-subscribed at A$25 million during the ‘tech0wreck’ of 2000.
eStar gave Australian independent equity traders access to the same IRESS software and trading platform used by professional stockbrokers and traders. The software became the preferred online trading facility for independent retail traders offering a superior trading experience to web based facilities such as E*Trade and Comsec. As the best trading technology available at the time, the marketing had to address trader’s concerns, reflect innovation and inspire transition to the service. Read more here. Client: Roadshow Entertainment & A Couple ‘A Cowboys creative production house. 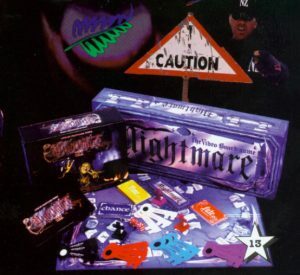 Project: Nightmare the Interactive Video Boardgame (known as ATMOSFEAR in international markets) the Australian made innovation in board games with a cult following. The game famously outperformed the movie as Australia’s leading entertainment export at the time, having sold over 3.9 million copies in 17 countries, in seven different languages. Four sequels were launched from the original game, as well as the new digital generation of the game, also launched as ATMOSFEAR Read more here.